This is a pretty pricey piece of hardware, but believe me, it is worth every penny. 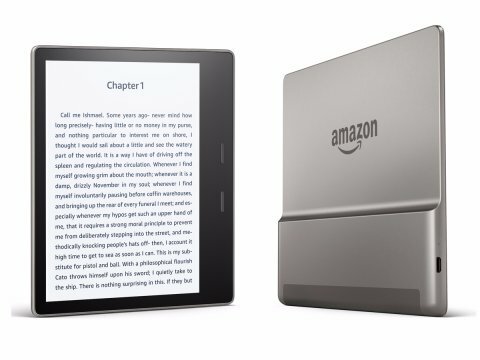 The new Kindle Oasis, I'm talking 2nd generation version, is now waterproof, has 12 lights, and is slightly larger than the 1st gen Oasis. The Oasis is so light, though. This is one of those devices where you think "This is what an e-reader should be." It's like comparing laptops from the early 2000's to today's MacBook. One slight downside: the battery. The Oasis comes with a cover, and keeping it attached will ensure the Oasis will last a good month, depending on how much you read each night. I read about an hour a day on it, and it seems to hold a charge for almost the entire month. I usually take the cover off to get it as light as possible, and when I'm done reading, or when I'm traveling, I pop the cover back on. Another thing: This is not the best device for reading articles for school, or something where you need to pay attention. At least I wouldn't recommend it. There are ways of converting PDF to kindle files, but I do not like how it comes out. For work, I recommend an iPad pro. And get the pencil, because with the new Files app, writing on docs has never been easier.